UX, two letters which we all are familiar with. 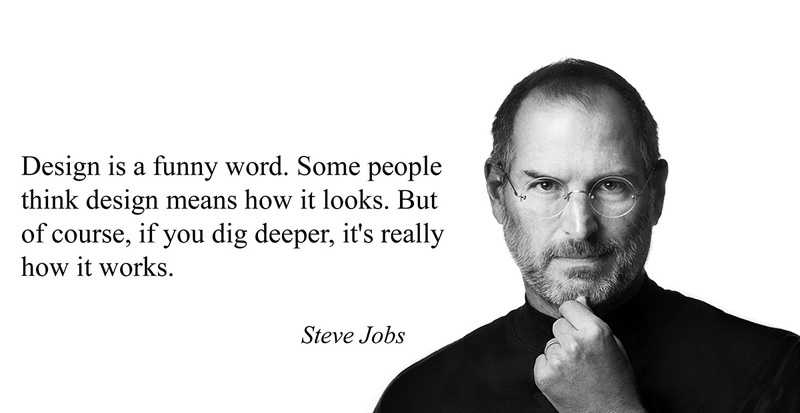 There are people who have given years to understand the real definition of UX but it’s hard to put together in words. Now that we have an understanding of what exactly is UX design let’s move on to further understand who really is a UX designer and what is his role? UX involves elements of research, testing, business analysis, project management and psychology as well as wireframing. A UX designer is expected to perform all the above functions. If there’s a question on your mind that what does a User Experience Designer actually do? The answer to it shall be there is no typical day. There are different techniques that comes into picture at various stages of the project. A persona is a fictitious identity that reflects one of the user groups for whom you are designing. A persona is directly defined by conducting interviews, surveys, user testing, contextual inquiry and other activities. Once the process of defining personas is complete the activity of prototyping starts. 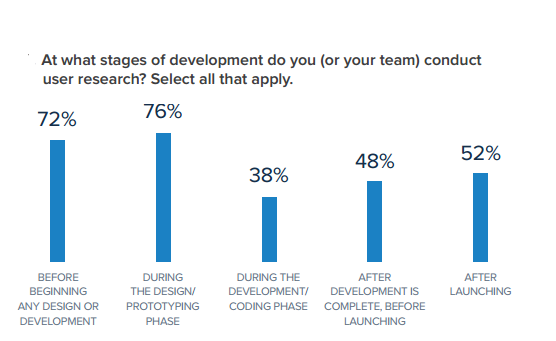 Here’s a survey on which stage of development company prefers user research. The process of wireframing goes through many stages and there is no right or wrong way of doing them. Wireframing is simply a way to sketch a mobile app/website service at the structural level. They are layouts that outline the specific size and placement of page elements, app features, conversion areas and navigation. At each stage of the process of wireframing, user testing and iterations comes into picture to build a better product. User testing is basically asking users to perform tasks you have planned to test the user experience and receive quick feedback. It’s a great way to eliminate user difficulties that were unforeseen in the design phase before getting started on the implementation phase. Once ready with the design the next step is to work directly with developers to reach the end goal. Developers work to transform design ideas into a real, working website/app. UX designers are problem solvers, which is done through a major part, Discovery. There are many such problems and experiences UX designers have in their daily life. Thousands of professionals shared their insights on UX and user research in this year’s industry survey. Download the report to see the trends and takeaways. To understand the work life of a UX designer, there's an upcoming series of interviews on some great User Experience designers across the world.